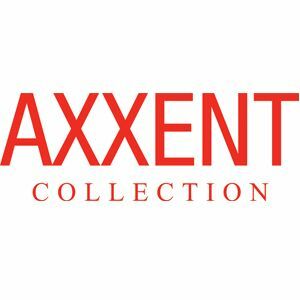 Brands: Orac Axxent Item Number: CX160 Categories: Axxent Lightweight Coving, Modern & Contemporary Coving. 1.3cm High x 3.9cm Projection. Small contemporary style, lightweight coving. Lightweight Purotouch. Tags: Budget coving, Contemporary coving Liverpool, Contemporary plain coving London, Coving & cornice, Coving & cornice Manchester, flat coving, mini coving, Modern coving. 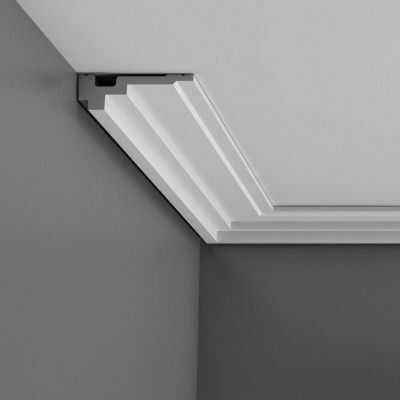 Small contemporary style, lightweight coving. 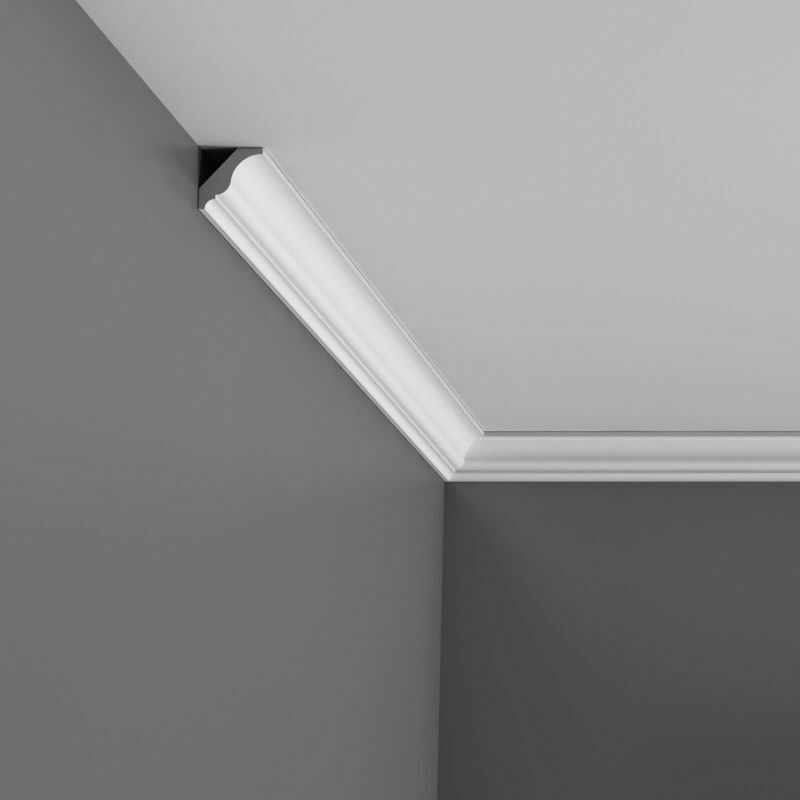 The ‘Aberdeen’ is part of our more contemporary range of covings and creates a flat modern line between the wall and ceiling. 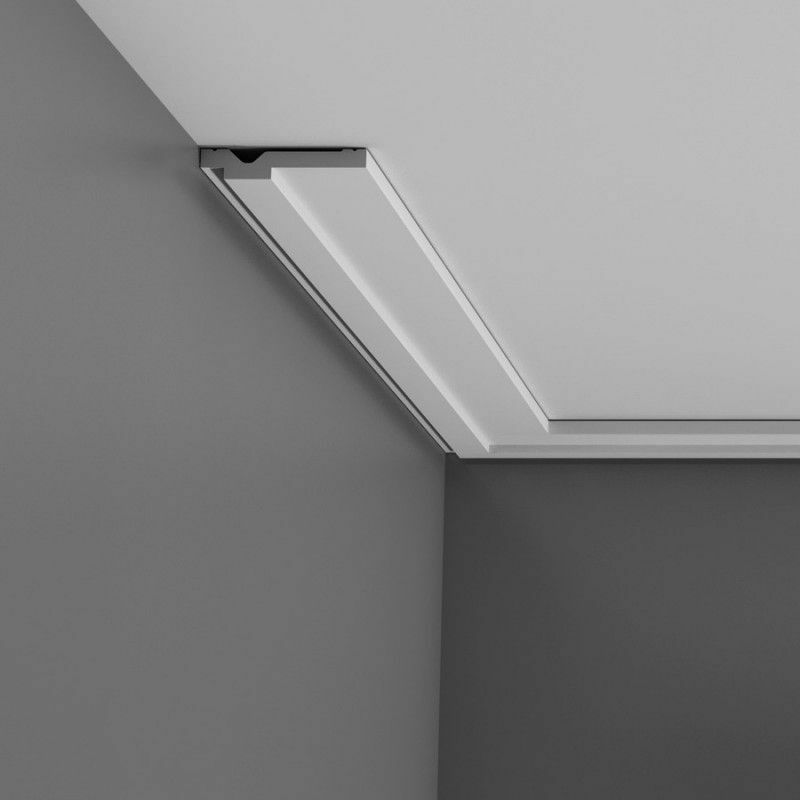 It projects across ceiling and has very little depth to it making it perfect for lower ceiling heights of modern built properties. 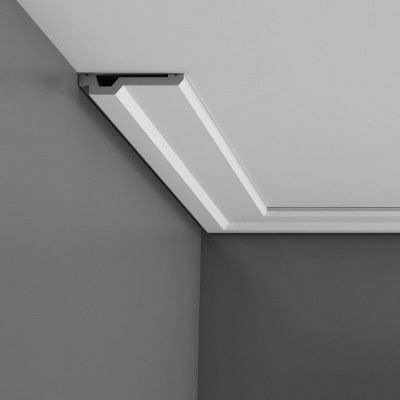 This style of contemporary coving is from our budget Axxent range and is proving to be more and more popular with customers across the whole of the UK who are looking for a modern coving design. 1.3cm High x 3.9cm Projection. Lightweight Purotouch. 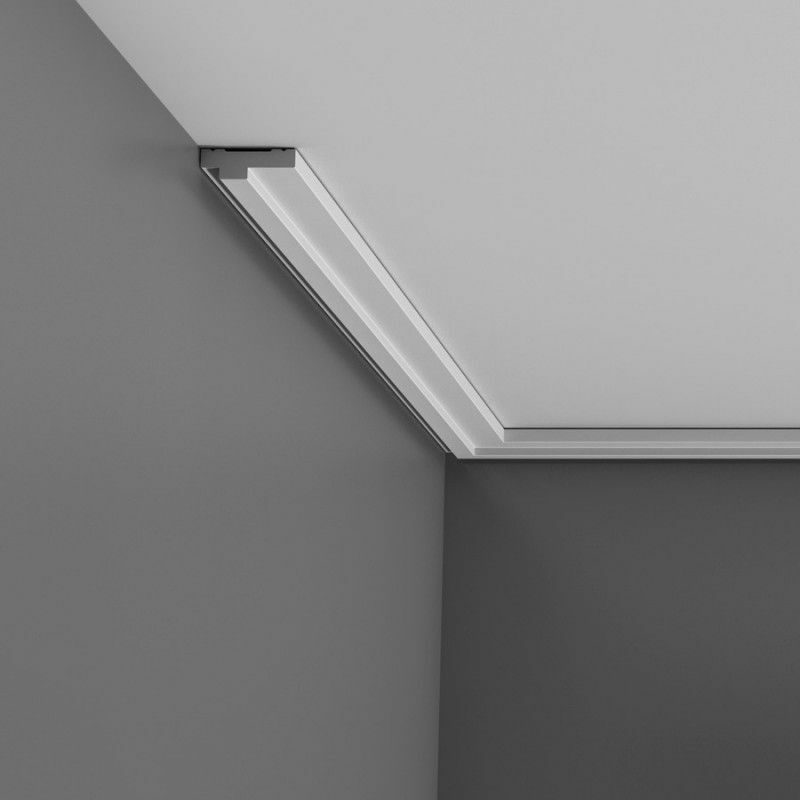 DESIGN IDEA- The recessed shadow at the back of the coving will allow you to run an LED strip along it creating a downlighting effect. This looks fantastic in a room which has spotlights or a room which needs a softer lighting effect. Please call or email if you would like a sample of this contemporary coving. 20cm Wide x 9cm High x 2.7cm Deep. 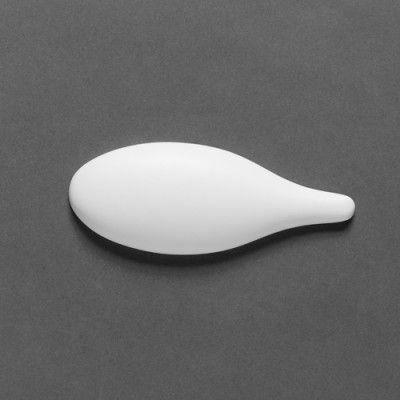 'Folio' tear drop shaped ornament for creating decorative patterns. Lightweight Purotouch. 2cm High x 10cm Projection. Small, plain, contemporary coving. Lightweight Purotouch. Supplied in 2 metre lengths. 3.5cm High x 11.1cm Projection. Medium sized, plain, contemporary coving. Lightweight Purotouch. Supplied in 2 metre lengths.